For the Spring season, we present a concert of favourite works from the cathedral repertoire, with the King Charles Singers. We'll be singing music from across the centuries, and showing how the English choral tradition benefits so greatly by its imports from abroad! 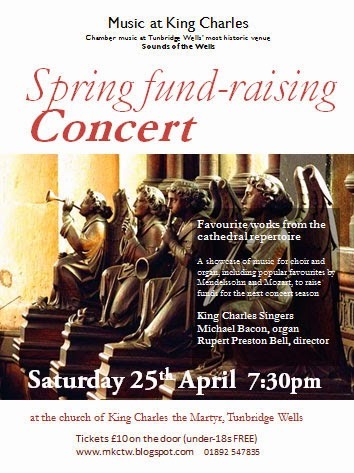 This event is to raise finds for the next concert season, so all support is hugely welcome. The King Charles Singers are accompanied by Michael Bacon. Tickets may be purchased on the door, at £10. There is no charge for under-18s. Drinks will be available.